As the field of medicine keeps evolving, we develop newer and more effective forms of treatment for amazing benefits. 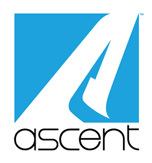 At Ascent Adaptation, we offer you LightStim – an innovative technology with vast applications in sports and medicine. PBMT (Photobiomodulation) is a light-based bio-therapy that uses LED lasers to activate the body’s self-regenerative capabilities. Our bodies have the natural ability to heal tissue damages, no matter their location and severity. Sometimes, however, you may need to support your body’s capability to deal with the problems. PBMT is non-invasive and painless, but highly effective in supporting the organism’s healing mechanisms. It relies on the Multiwave technology, which uses multiple wavelengths of red and infrared light to stimulate biological regeneration. Our bodies’ chromophores (active molecular components) absorb the light and trigger complex cellular processes which promote healing, tissue regeneration, and improved biological status. Compared to conventional clinical methods, PBMT is a lot more comfortable and effective. The fact that it has no side-effects only adds to the benefits. The most important benefit is increasing the efficiency of the circulatory system. When suffering tissue damages, our body reacts by flooding the area with blood, to speed the recovery process. The purpose is to bring oxygen and nutrients to the affected area, supporting the tissue regeneration mechanism. During light therapy, the blood flow will increase, which will drastically reduce the inflammation and soreness in the treated area. Higher production of ATP – ATP (Adenosine Triphosphate) is vital for cellular processes, including the production and transport of energy throughout the body. Over time, you should experience higher levels of energy, as well as improved physical and mental functioning. Protect against toxins – Free radicals are toxins that build up in our bodies under specific circumstances. The more they replicate, the drastic the long-term effects. By enhancing the body’s ability to heal and cleanse itself, PBMT therapy acts as a powerful shield against the effects of free radicals. Skin protection – Specific wavelengths engaged by the device trigger the body’s internal production of collagen and elastin. As a result, your skin will tighten, as the wrinkles will slowly fade away. Since collagen has important regenerative properties, your skin will have a natural shield against UV radiation. Boosted physical attributes – PBMT increases blood production and circulation, which will accelerate wound healing, speed up tissue recovery, and reduce muscle fatigue. No, PBMT is entirely safe. No patient using LightStim regularly has reported any notable side-effects. Both the device and the procedure are safe and effective at delivering outstanding benefits long-term. It also doesn’t hurt that the method is non-invasive, painless, non-abrasive, and comfortable. You no longer need medication or invasive forms of treatment to deal with minor damages. At Ascent Adaptation, our goal is to provide people with easy and practical solutions to problems that conventional medicine still struggles to solve. PBMT technology proves our success.